We drove from Vegas to Bryce Canyon today. 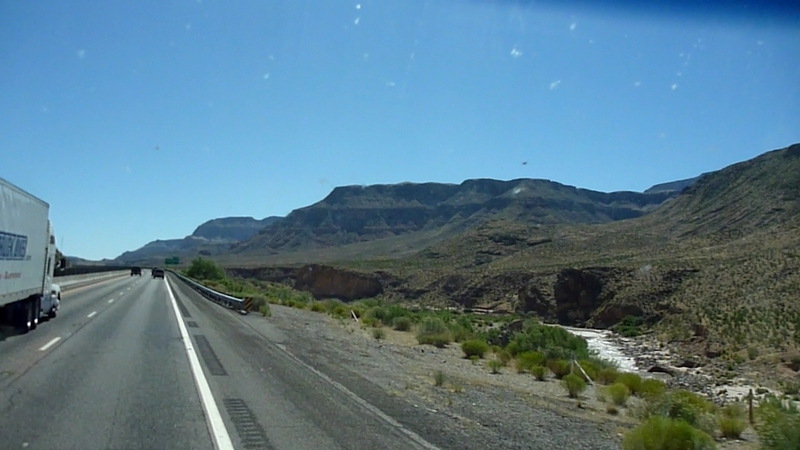 It was about 90 degrees when we left Vegas at ten minutes of 8 in the morning, with a predicted high somewhere near the melting point of Mainers. It was much cooler in Bryce (predicted to be 40 tonight and low 80s tomorrow, a far cry from Vegas's forecast of 110 degrees). 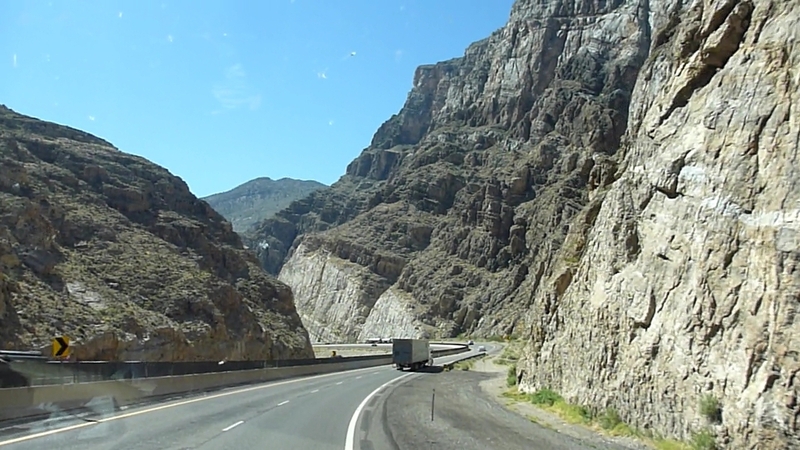 The drive took us up I-15 from Nevada through Arizona briefly then on to Utah. Some very confused time zone changes, given that we were in Daylight time but Arizona doesn't do Daylight Savings (so they are effectively in Pacific time at the moment). Fortunately we really didn't care all that much, Utah time was the only thing that really counted. 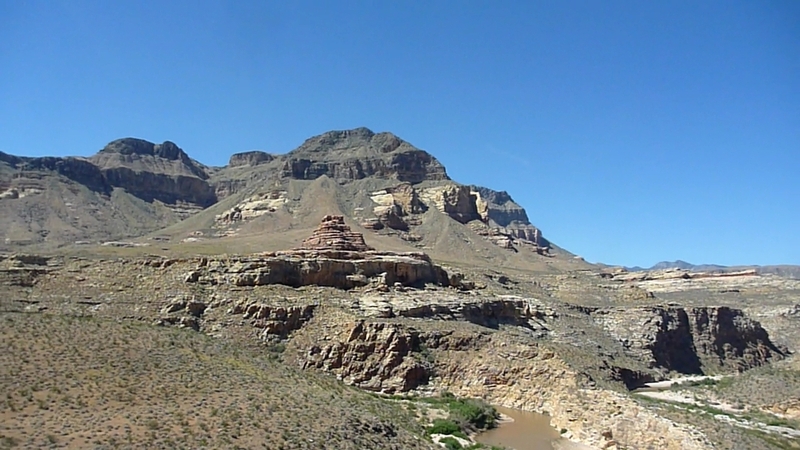 We stopped at a rest stop in Utah at mile 44 for lunch and a quick Geocache (first in Utah!). 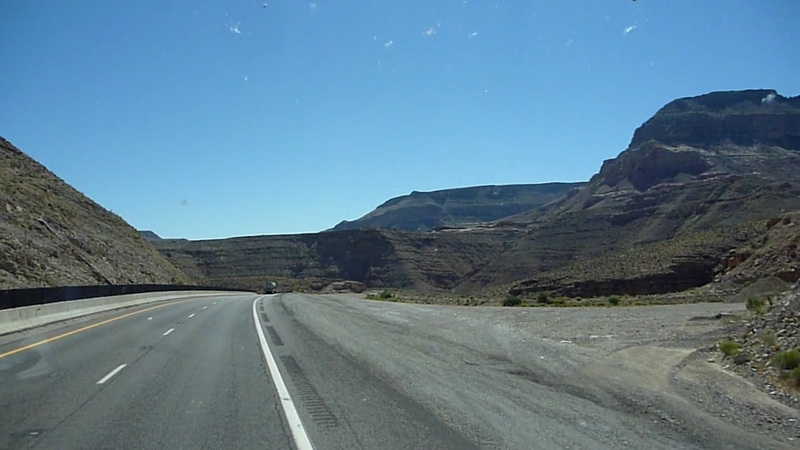 There weren't many other stops because we really wanted to get up to our campsite in Utah. Most of these pictures were taken through the motor home windows, hence the bugs. Country Livin at its finest. 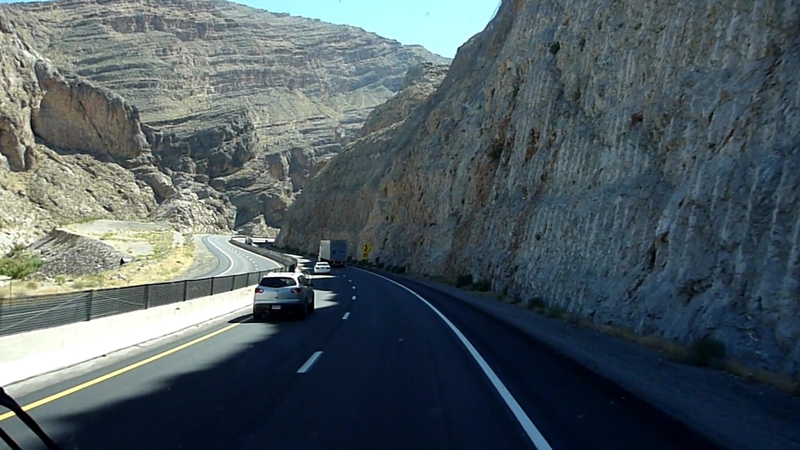 On 15 in Utah, we went through a spectacular (if a bit taxing on the motor home) pass. 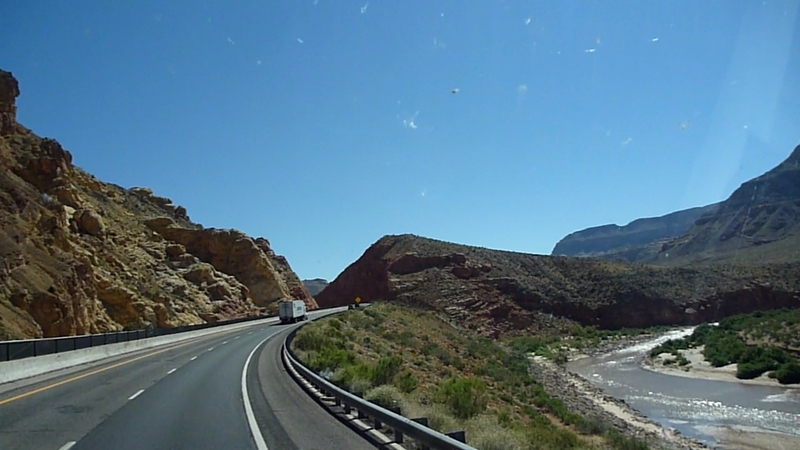 We then drove across RT20 and through Red Canyon on the way to Bryce. Mathea was very impressed with the "tunnels" (cuts through the rock). Unfortunately we couldn't really stop in Red Canyon for any good photos in the motor home due to our size and the lack of parking, but we took a few snapshots through the windshield on the way by. We arrived at the campground sometime around 3PM or so. Mathea, Melissa, and Darlene went swimming, then we had a nice (if pricey) buffet meal at Ruby's Cowboy Buffet.